Our strategy is to find programming that fits the facility and the needs of the community. The VenuWorks programming division is under the direction of Vice President of Event Programming and Content, John Gimenez. Under his direction, VenuWorks books hundreds of concerts and entertainment attractions across the US each year. In many cases, these events are promoted or co-promoted by VenuWorks. The central booking office is enhanced by our agreement with Live Nation/Ticketmaster. This teaming provides the best combination of strengths: The VenuWorks boutique attention to detail and customized programming for each unique market demand, coupled with the international buying power of Live Nation. In addition, Ticketmaster provides VenuWorks with an unparalleled sales and distribution network, and a premier integrated marketing platform built specifically for live entertainment. Together with a ticketing system that is the industry standard, and a multi-million-dollar annual commitment to technology, the VenuWorks partnership with Ticketmaster ensures each venue is well positioned to maximize business opportunities, discover new fans, market events, and sell more tickets. Our booking team members attend national meetings like the International Association of Entertainment Buyers (IEBA), Pollstar Live, VenueConnect, and the Association of Performing Arts Presenters Annual Conference. They also make regular trips to LA, Nashville, and NYC to meet with agents and promoters, one on one. Using our in-house booking team has two important advantages. First, all of our deals will be transparent and open to you. There will be no back room, secondary deals that could funnel off money that should come to the venue. Second, we will bring you ALL available acts, without having to decide how to parcel out shows to competing venues in the market. And will book those acts at the most reasonable and affordable prices. We get those prices because we are also transparent with agents and artists. We want our artists to maximize their take out on concerts, and we know how to structure deals that will make that possible. As important as it is to book the best artists, it is just as important to know how to treat the performers when the trucks pull up early on the morning of the show. You will find that VenuWorks venues have a reputation for providing the very best support services for concerts and events. Convention centers have a unique dynamic that calls for collaboration with community marketing and tourism stakeholders as well as partnership with local lodging facilities in order to effectively and efficiently sell the “entire destination” and bring the widest range of national, regional and state groups to the facility. The VenuWorks sales team employs multiple strategies to increase and enhance the scope and number of conventions by working directly with the local hospitality community and CVB to identify greater business opportunities. Through our event scheduling system, we can exchange leads and event meeting details, track repeat business opportunities and identify potential lost business. Measuring the ongoing economic success in hosting meetings is an important step in valuing the work we do on behalf of the venue. These new bookings translate to more than just convention center revenue including; new visitor overnight stays, visitor expenditures with local retailors, transportation, entertainment and meals, local tax revenue provided, as well as the local jobs generated or sustained by visitor spending as a direct result of the conventions, conferences or meetings hosted in the community. VenuWorks has successfully created great events that have become part of the communities we serve. In many cases, an event created in one VenuWorks market can be adapted to fit the needs of a venue in other VenuWorks markets. We call that “Event Sharing”. In addition to presenting events and working with promoters to bring touring artists to the venue, we are pleased to work with the City, event organizers, and CVB to assist in enhancing existing festivals in the area and work to develop new local event partners with whom we can create annual events. VenuWorks has extensive experience in presenting world renown performing artists and attractions in theatres and performing arts centers. Whenever possible, we present these programs in a subscription series. We work with Jam Theatricals to present the Broadway Series in Davenport, Cedar Rapids and Kennewick. VenuWorks Theatricals has also co-produced with Jam Theatricals on Broadway. We have worked with many different venues, each with its own distinct set of challenges, to develop event funding to combat the costs involved with the growth strategies we have created. These funds exist for the very purpose of absorbing the risk on an event. To aid in evaluating financial risk, we have developed a Risk Assessment tool that measures potential revenues against projected expenses and to aid programming committees in selecting which events to present. Broadway shows tend to be the most popular, the most profitable and the most expensive programming for performing arts centers. We maintain close relations with all the major booking offices and producers in New York City to be sure we can deliver the best quality and newest offerings from Broadway to the venue. By participating in the development of the shows and routing, VenuWorks been able to secure Broadway tours as well as new programming content on many different levels. 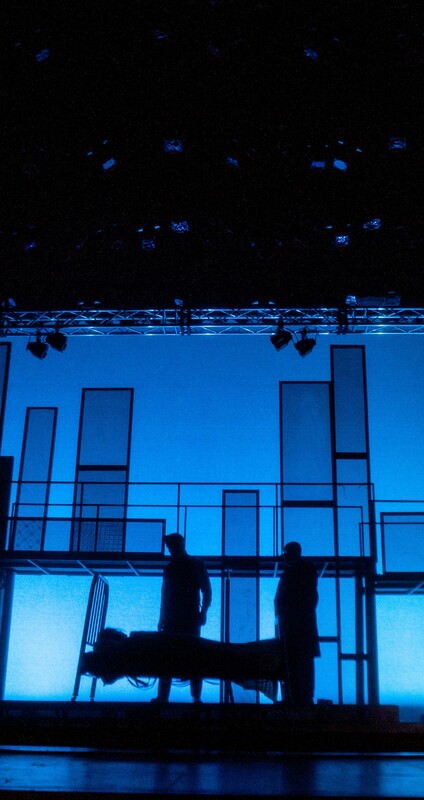 Touring Theatre Associates was created by VenuWorks in partnership with Troupe America, a Minneapolis-based production company; and two major New York producers. The first offering of the new company, a production of the Broadway hit musical JEKYLL AND HYDE, opened at the VenuWorks-managed Ames Center in Burnsville, MN on September 24, 2014; before launching a 19 week tour across the United States with booking partner Columbia Artists Theatricals. In our second season VenuWorks produced a tour of FLASH DANCE. Shows like these fill a need in our smaller markets where the larger national tours cannot be presented profitably. New York City on September 28, 2014. The show, which starred James Earl Jones, received rave reviews. VenuWorks has been presenting Broadway series in markets across the United States for nearly two decades. This venture to Broadway represents the next step for us to have access to the premiere touring theatrical productions and bring them to smaller markets. In December 2016, VenuWorks Theatricals produced a new Christmas musical entitled NOEL at the National Opera House of Ireland. The NOEL book was written by Eoin Colfer, internationally known children’s author of the Artemis Fowl novels. We are fortunate to host a wide variety of sports franchises in the arenas we manage. From the University of Evansville Purple Aces men’s and women’s basketball that play at the Ford Center in Evansville, to The Bemidji State Beavers playing in the Sanford Center, and the Iowa Girls’ State Volleyball Tournament in the US Cellular Center in Cedar Rapids, we understand the important needs of the teams that call our venues home. The success of our client venues is dependent measure on the success of our prime tenants. We will work to forge a strong partnership with the Wright State Athletic Department to work together on facility access, schedule management, ticketing, marketing and promotions. 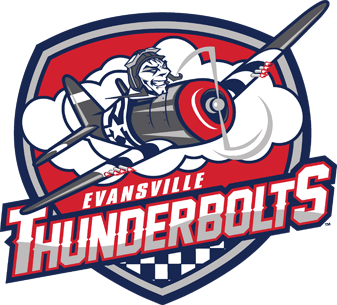 We know firsthand the challenges our resident teams face because we own a franchise in the Southern Professional Hockey League – The Thunderbolts! They play in the Ford Center in Evansville, IN. Contact us today for more information about our events and entertainment services.